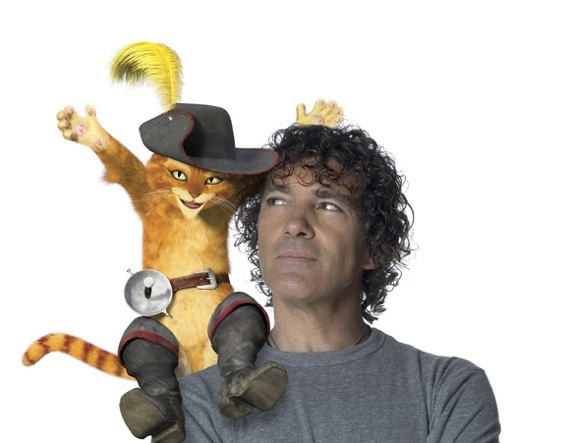 Antonio Banderas‘ Puss from the Shrek movies, finally gets his own movie in PUSS IN BOOTS. PUSS IN BOOTS is an origins story on how the charming kitty came to be before we meet him in Shrek 2. Salma Hayek, Banderas’s Desperado and Once Upon A Time in Mexico leading lady, lends her voice as Puss In Boots co-star along with Zach Galifianakis (Due Date), Billy Bob Thornton, and Amy Sedaris. Watch the teaser trailer with the lovable swachbuckler. PUSS IN BOOTS is in theaters November 4, 2011. © 2002 - 2013 The Licensing Agency. All rights reserved.